Hammocks and rocking chairs are both fundamentally impractical pieces of furniture, but I will nonetheless spend hours at a time gently swaying in either. Combining both ideas into one design won’t help with that problem, but it does look relaxing as hell. A trio of students from the MIT Institute of Design in Pune, India came up with the concept as part of a design project. 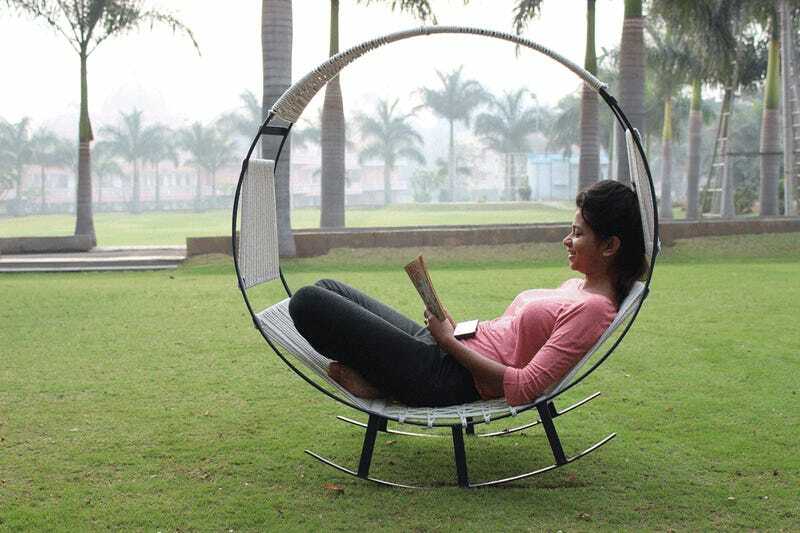 The chair uses metal rings for the frame, while three different fabric weaves are used to create a different look and feel for different parts of the chair. It looks like it would be reasonably easy to build in a home workshop, and more importantly, it’s the best place I could possibly imagine to take an afternoon nap.